Christmas Print Giveaway Week 1 - Rachel Urquhart! Lynette was our office administrator for a couple of years & then marketing assistant for a brief period while she studied Graphic Design. Giveaway Time - Tag & Win! For the first two weeks in December, we have teamed up with two fantastic artists for our annual Christmas Print Giveaway! Our first artist is Rachel Urquhart of Pony Gold Studio, a long-time client of ours who was also one of our featured artists a few years back! Rachel is an illustrator and designer based in the mid-north coast of NSW. She draws on psychedelic poster art, bad tattoos, natural history illustration, 70s print design and old t-shirt graphics for inspiration, and as a result, has made quite a name for herself with her distinctive graphic illustration style. 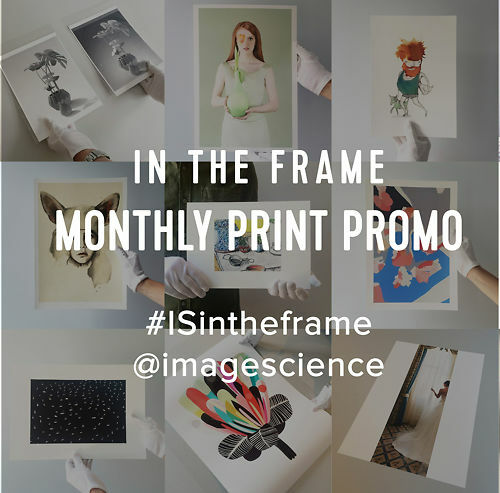 Alongside freelancing in the creative industries with Australian and international brands, Rachel produces limited edition prints, and we are very excited to be giving away one of her signed fine art prints! The image chosen as our giveaway print is 'Wade', printed for the first time in A2 on Hahnemühle Photo Rag. Read on below to find out the story behind this beautiful piece! Entries for this print are open to everyone worldwide! 'Like' the competition post here. In the comments below the competition post, tag at least one friend (one per comment line). This competition is open to everyone with the print delivered free of charge worldwide! The winner will be selected at random from all entries that fit all of the giveaway criteria and announced via Instagram. Entries open Friday 30th November 3pm AEST and will close Thursday 6th December at 10am AEST. The winner will be announced later on Thursday at approx 2pm AEST. "Wade was created for an annual art show that I’ve been involved with for the past few years, which focuses on body positivity, female empowerment and women supporting women in the creative industries. So in creating this piece, I was thinking a lot about the dualities of being a woman — things beautiful and dangerous, at once vulnerable and capable, strong and soft, that reality of balance that we see in nature and in the way women live and navigate the world. This print will be the only one produced at A2 size, which makes it very special!" Rachel's limited edition prints and select originals are available for purchase from her website. I wanted to say thank you for my amazing prints done by your team! I’ll definitely be back, as you did everything that was asked and produced an amazing product for myself. It was as close to my originals as possible so thank you!